New year, new food and beverage trends! 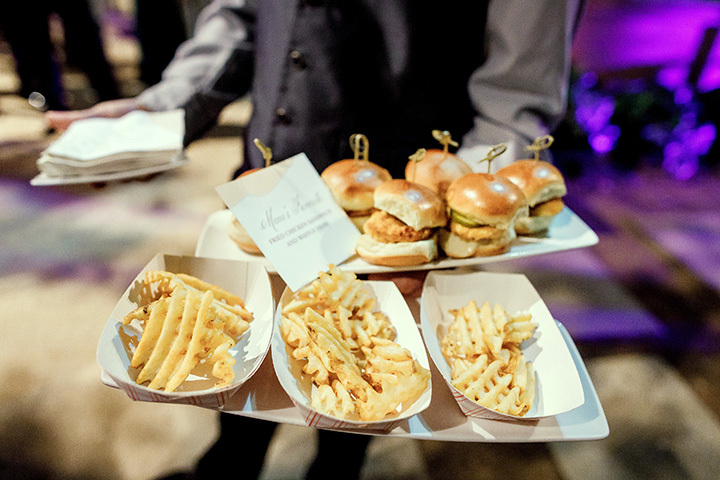 2019 is the perfect opportunity to roll out fresh takes on what’s tried-and-true in the catering industry, and it’s a clean slate for those trends that we’re happy to see go. So, to get down to business—what’s on the radar for the new year? That’s right, it’s not just a feeling saved for old TV shows and 80s music. Nostalgia is dominating the food and beverage scene with childhood favorites sneaking onto the menu. We’re seeing tons of surprises in garnishes and late-night snacks. 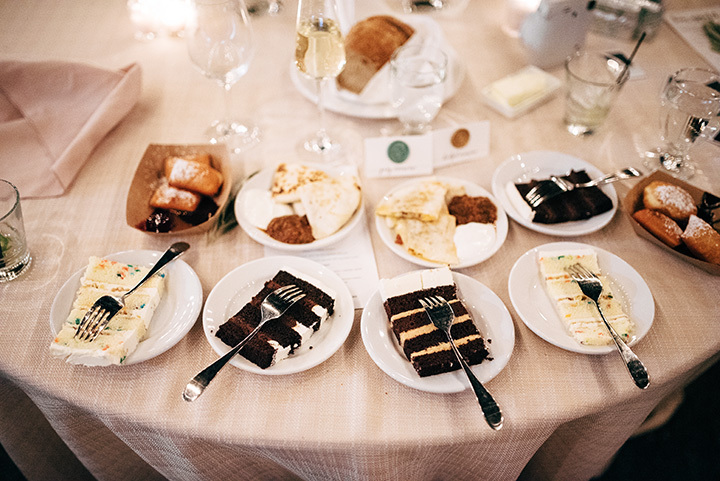 Couples are incorporating fun elements like rock candy or popsicles into their beverages for a sugary sweet touch, and going the extra mile with desserts by serving milk and cookies after hours to revive the reception as the party winds down. In addition to those quirky desserts, we’ll also see a continuation of the deconstructed cake display. Towering cakes are no longer in the spotlight, expect layers with crazy flavors and toppings. Growing, cooking, and eating local will still reign supreme in 2019, but we’ll see more evolution. As local is an ever-intricate theme, native ingredients will be used in a new style that broadens the appeal of certain menu items. For example, thinking at the grass roots level, every couple wants their dish to have a story. Whether it’s a signature dish they had on their first date with a more sophisticated ingredient list or unexpected flavors to delight the palate, every item is being presented with more information and backstory. Think food origin, local farm-raised, and literal hand-picked ingredients from the venue site. Display is more important than ever, and it’ll be treated as such in the upcoming year. Champagne toasts are no longer related to a simple pour-and-pass, and instead will be more elaborate in presentation (i.e., Gatsby-inspired!) to add a little pizzazz and glamour to the moment. Warm weather weddings are going to be the opportune time to pair sparkling wine with unique fruit add-ons and cotton candy garnishes. We’re sad to see 2018 come to a close, but as the excitement and anticipation of new trends amp up the coming year, we couldn’t be happier for the birth of new traditions!